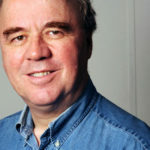 Andrew Brown is a British journalist, writer, and editor. He was one of the founding staff members of The Independent, where he worked as religious correspondent, parliamentary sketch writer, and a feature writer. He has written extensively on technology for Prospect and the New Statesman and been a feature writer on the Guardian. He has worked as the editor for the Belief section of The Guardian’s Comment is Free which won a Webby under his leadership and is currently a leader writer and member of the paper’s editorial board. He is also the press columnist of the Church Times.